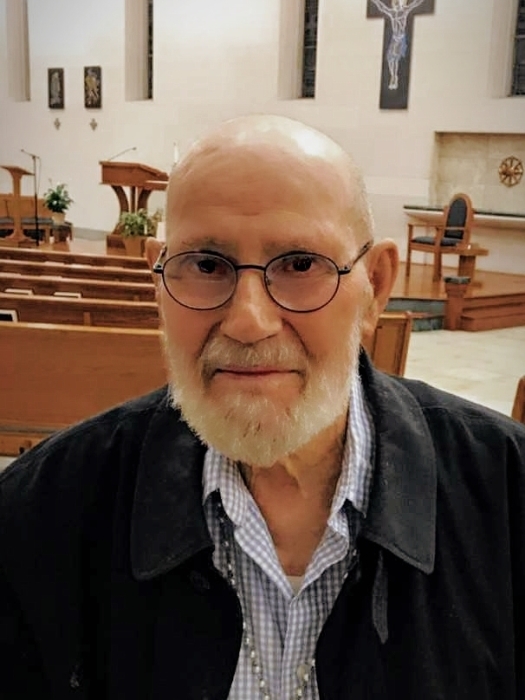 Funeral Services and a Mass of Christian Burial for Gary A. Gloden, 81, of Davenport, formerly of Dubuque, will be at Noon on Friday, April 5, 2019 at Holy Family Catholic Church, 1923 Fillmore St, Davenport. Burial will be in Holy Family Cemetery, Davenport. Visitation will be one hour prior to services on Friday at the church. Memorials may be made for Mass intentions. Mr. Gloden passed away Friday, March 29, 2019 at Bell Tower Retirement Community, East Dubuque, IL. Gary Anthony Gloden was born November 29, 1937 in Dubuque, a son of Carl and Florine (Ellwanger) Gloden. He had worked as a printing pressman for almost fifty years, primarily for Wagner Printers of Davenport, as well as Union Herman Printing of Dubuque. Gary was deeply devoted to his Catholic faith and prayed the Rosary daily. In his younger years he loved to go fishing. Survivors include his nieces and nephews, Tim (Jackie) Gloden, Dubuque; Tricia (Steve) Schaller, Dubuque; Tracy (Kevin) Callahan, West Palm Beach, FL; Tony (Tammy) Gloden; Jeff (Stephanie) Gloden; and Susan (Rick) Parkes, all of Terrell, TX. Online condolences and remembrances may be expressed to the family by visiting Gary’s obituary at www.hmdfuneralhome.com.